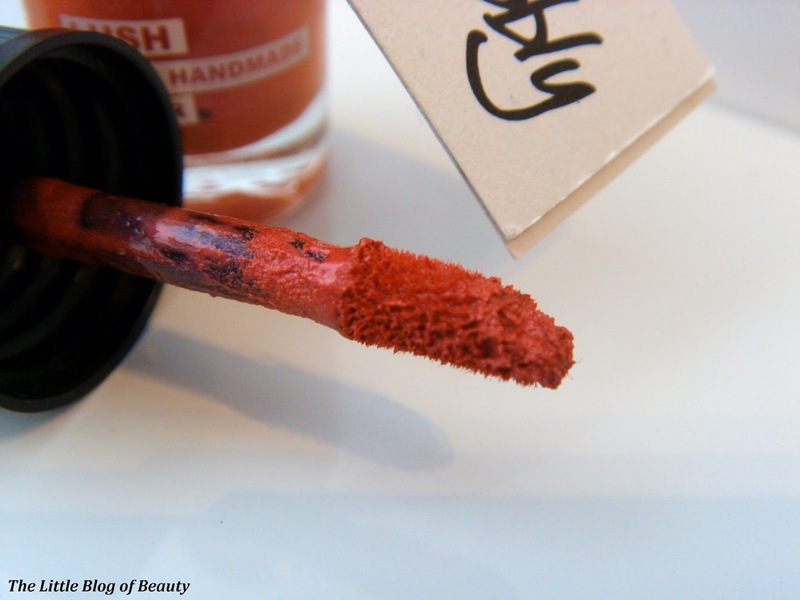 If you read my post on my first Emotional Brilliance lipstick back in January then you may know that I originally planned to try Bubbly first and Believe at a later date, but for some reason I changed my mind at the last minute. I'm pleased I did now, as if I'd bought Bubbly first I don't think I would have gone on to try any more shades. Let me explain why. 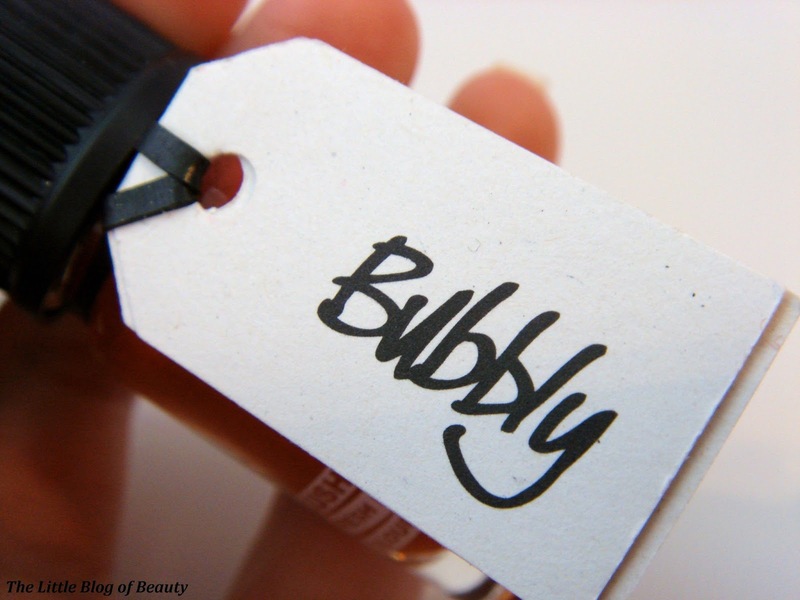 As much as I love Believe I just haven't been able to develop the same depth of feeling for Bubbly. It's a very pretty colour, especially for this time of year, but unfortunately it's slightly lacking in a few other areas. I've just headed over to the Lush website to check their description of this shade and have discovered the new site has been launched. It's looking good, but I'm slightly shocked at their swatch for this product. I believe they used to describe this as something along the lines of a two-tone rose shade. It's now described as a two-tone pink, but if you take a look at the swatch they provide this looks like a deep burgundy almost plum/brown shade. As bad as my camera can sometimes be at portraying shades correctly, my swatch is pretty much spot on and the one on the Lush website is way off I'm afraid. 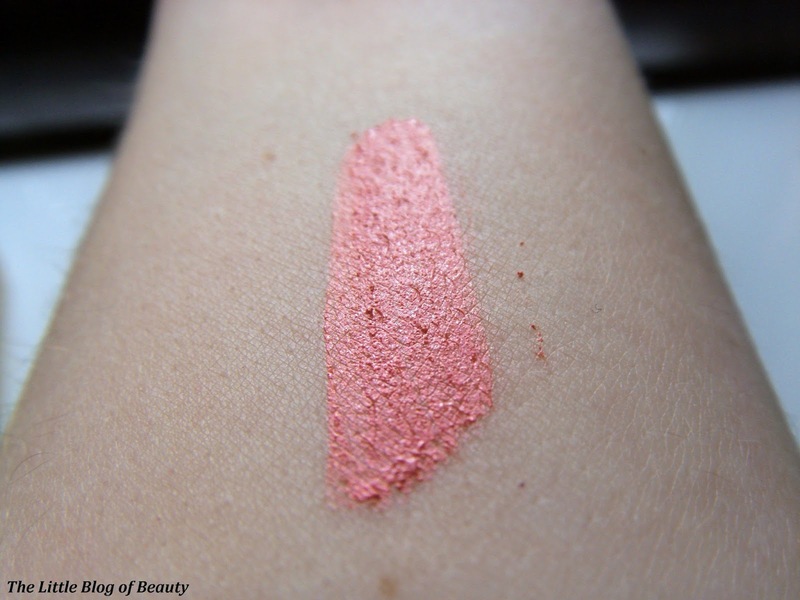 So the correct shade is a two-toned rose pink with a subtle shimmer two it, the shimmer being a result of the two-tone effect rather than the presence of any kind of glitter. 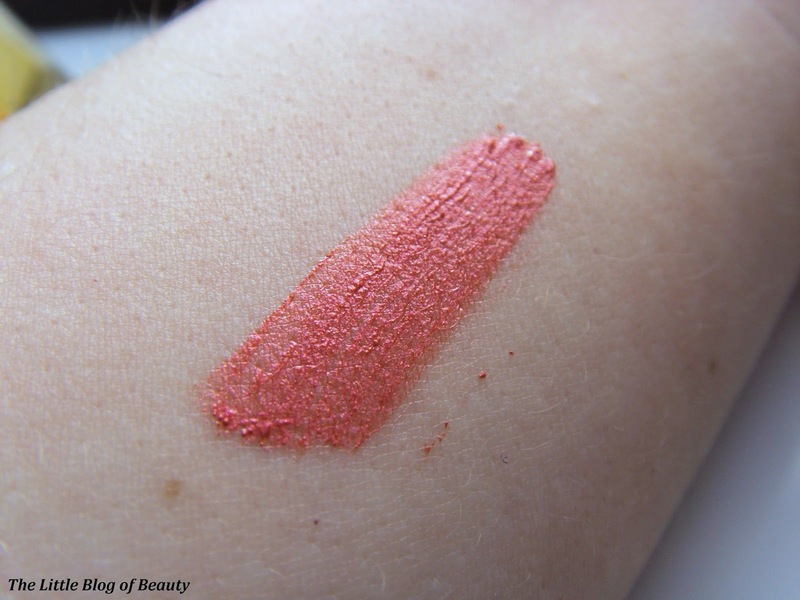 Although the shade looks quite bright on my arm, once on my lips it is more subtle. I'm sorry there's no lip swatch but I haven't perfected taking a good lip swatch photo yet. I think one layer of this gives quite a sheer look but you can layer it up a bit to make it stand out a little more. 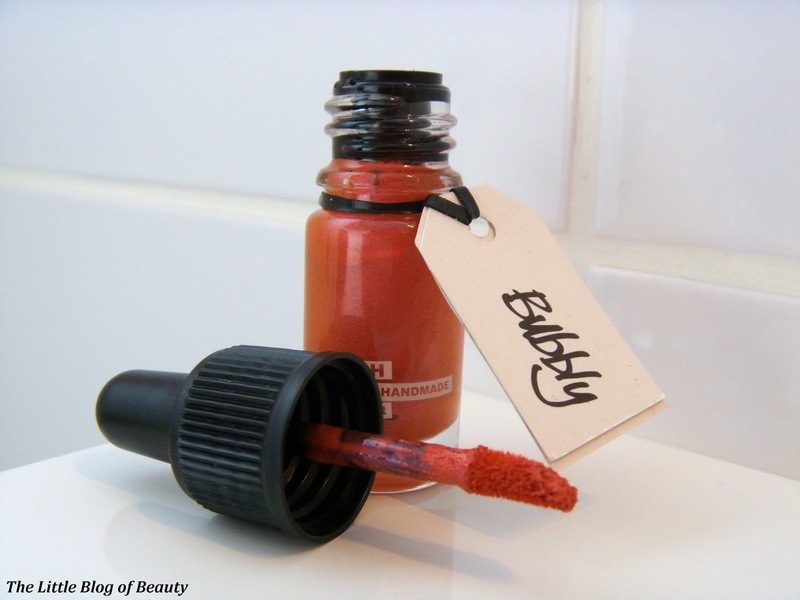 I do find that when I apply this it can look a little patchy, which I think may be a result of the whole two-toned effect, so it's not really a quick one to apply as you may have to spend a little time balancing it out slightly. I also find that this doesn't really last very long either. Within a couple of hours it has faded down to just a little bit left, mostly in the cracks in my lips, and if I've eaten or drunk a lot in that time then it's more than likely there will nothing left at all. It may be that I need to really layer this up (I just tend to use one swipe) to get a brighter shade that lasts longer, but I'm not a fan of having a thick layer of any product on my lips. As much as I love my Emotional Brilliance lipstick in Believe, and love the pretty colour of this one, I'm afraid Bubbly left me quite disappointed. You know this tastes bloody horrible i had a purple one and i thought this would be amazing but when i actually put it on omg it was the worst tasting thing ever!! I haven't noticed the taste actually. I know it does have a slightly strange consistency, it feels just very slightly kind of lumpy or grainy at first!